Teaching Abroad? English Isn’t Your Only Option! English is often referred to as "the global language", and as several international recruitment agencies can confirm, teaching English as a Second Language is always in high demand in many countries. It's no wonder then, that when we think of working abroad, this is the first thing that comes to mind. While it is one of the most common subjects taught by teachers abroad, it certainly isn't the only possibility. There are a number of English language schools that exist solely to teach English as a Second Language to non-native English speakers, and a vast number of teaching opportunities available within them, but international recruitment agencies are fast to point out that the subjects taught in schools around the world are as varied as they are here in Canada (e.g. history, math, accounting etc.). Much like teachers here, the subjects that you teach will depend on the job for which you successfully apply. You may, along with your international teacher recruitment agency, apply to international teaching jobs based on your subject of interest, or you may be asked by your employer to teach a specific subject. In several countries abroad, there are international schools that teach a full curriculum of subjects in English. 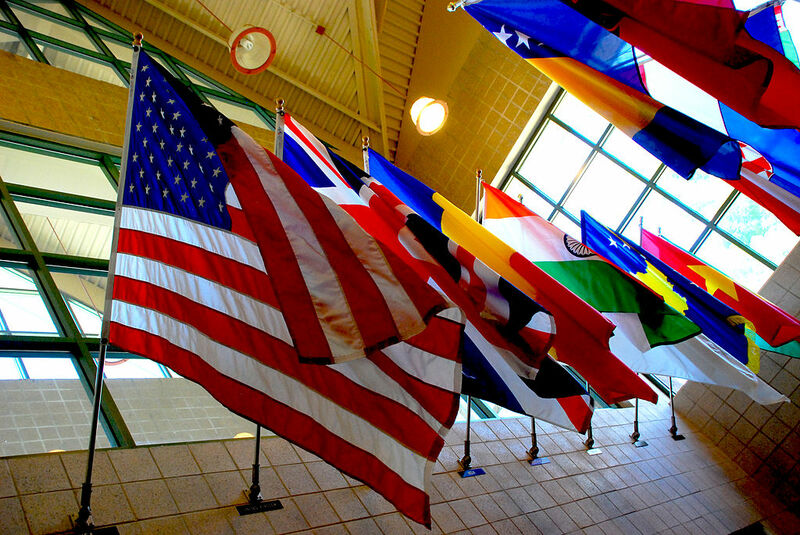 International recruitment agencies often have ties with these schools, some of which use Canadian or American curricula. Although some of the pupils may not be native English speakers, they are still expected to learn all or most subjects, including mathematics, science, geography, and art, in English. The requirements and certifications needed to teach in these schools will vary, and they may or may not be the same as those required by the schools in your country of residence, but an international teacher recruitment agency can help you determine exactly what qualifications you need to apply. According to international teacher recruitment agencies, teachers at international schools are often subject to stricter requirements than teachers teaching English as a Second Language. For example, many international schools require that teachers have a Bachelor's Degree in Education, and some will even require a minimum of 2 or 3 years of teaching experience, whereas to teach English as a Second Language you often only need a TESL Certification. Since you'll be living and teaching in another country, you'll also have to meet the country's immigration requirements. Once again, international recruitment agencies will be happy to help you determine whether or not you meet these requirements. If you've always wanted to teach abroad, but your interests lie in a subject other than English, there are several other possibilities available. Don't limit yourself; contact your nearest international teacher recruitment agency today!